Great news! 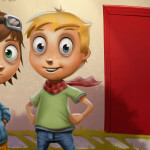 Storm & Skye and the Secret of the Car Wash is nominated at the Tabby Awards, a prestigious price for tablet apps. An international judging panel of independent app professionals reviewed the submissions the past few weeks and rated them across a range of criteria. The selection process, supervised by judging chair Otto Toth, Tech Director of The Huffington Post in New York resulted in a short list of 98 nominees. Storm & Skye and the Secret of the Car Wash is nominated together with three other apps in the Kids Over 6 category. The judges will now proceed with a final round and select, in each category, the very best tablet app as a Tabby Awards winner. In parallel to this judging process, you will also have your say. 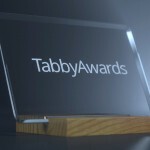 Tablet users from across the world are invited to vote for the Tabby Awards Users’ Choice among nominees in each category, from now until June 14. Please help us win the Users’ Choice award by clicking this link. Thank you!